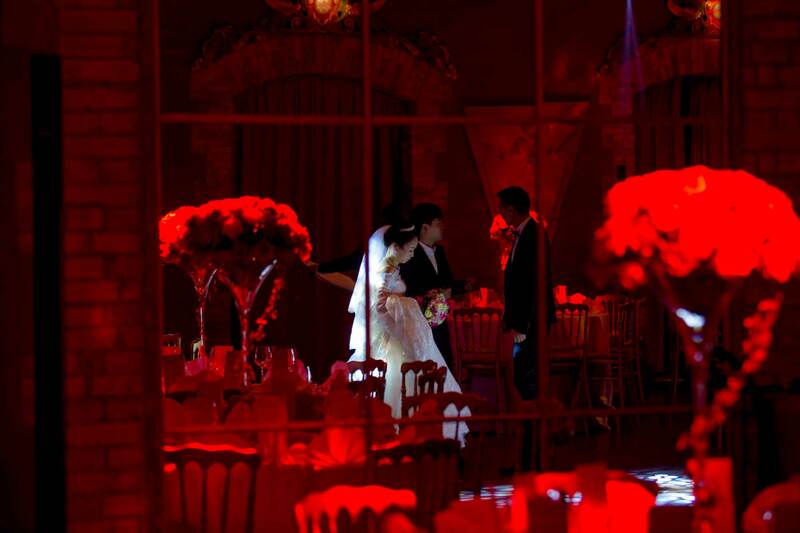 The Pavillons de Bercy offers 3 prestigious themed venues to organize your wedding reception. The Théâtre du Merveilleux for large-scale weddings. An exclusive venue themed around legends, tales and cabinets of curiosities. The Musée des Arts Forains, a festive venue that will immerse you into the 1900’s Paris and the atmosphere of ancient funfairs. The Salons Vénitiens for a romantic wedding, transport your guests into a Venetian palace without leaving Paris. All our wedding venues are adjustable to fit your wildest dreams. In each room, one side is dedicated to the diner and dance night. On the other side, dedicated to the cocktail reception, your guests will liven things up with our fairground rides and games from the 19th century. Our dedicated team can also advise you on the choice of shows integrated within our venues, artists or orchestras. No need to leave Paris to enjoy a charming outdoor space for your wedding. Within the Pavillons de Bercy, we offer a private garden or patio. Each venue can be complemented with a dedicated outdoor space : the garden-street or the venetian piazza. This flowery garden with chandeliers hanging from trees can be the perfect location for you cocktail.